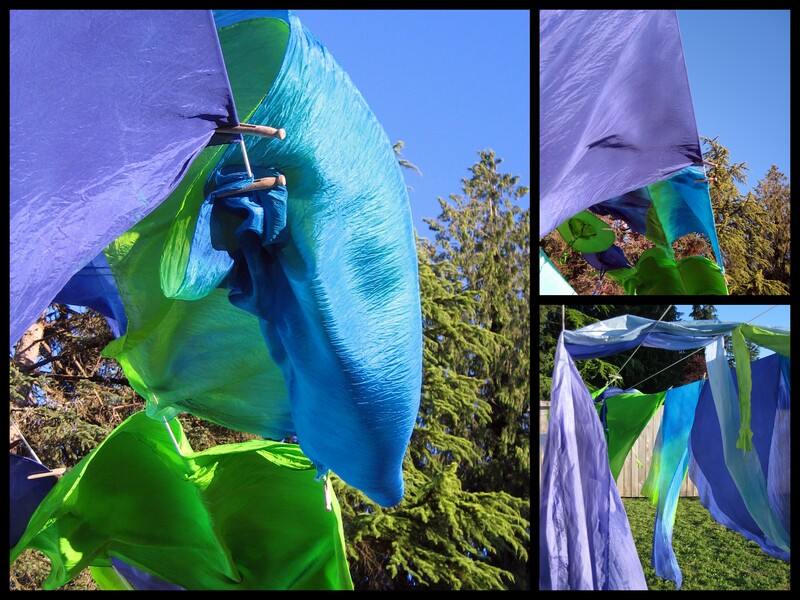 Mom and I decided to spend a day dying banners and veils we bought from Dharma Trading. 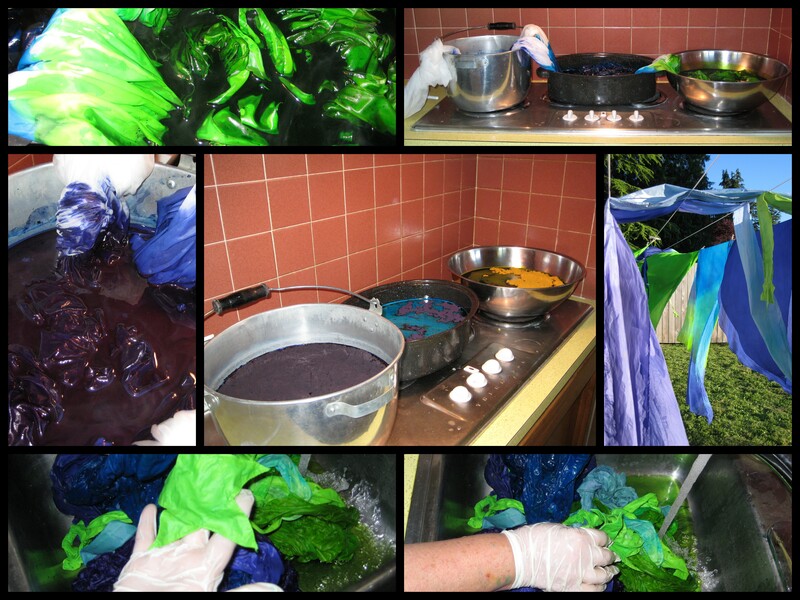 She bought Jacquard acid dyes because our fabric was silk/nylon. One thing I learned from my last dying adventure, don’t place any expectations on your results. While we did pick certain colors and hoped they’d be brilliant, dying is an art. There is a science to creating the color, matching the appropriate dying technique, color type, or method to the raw material (fabric, yarn, etc. ), it is rarely predictable. 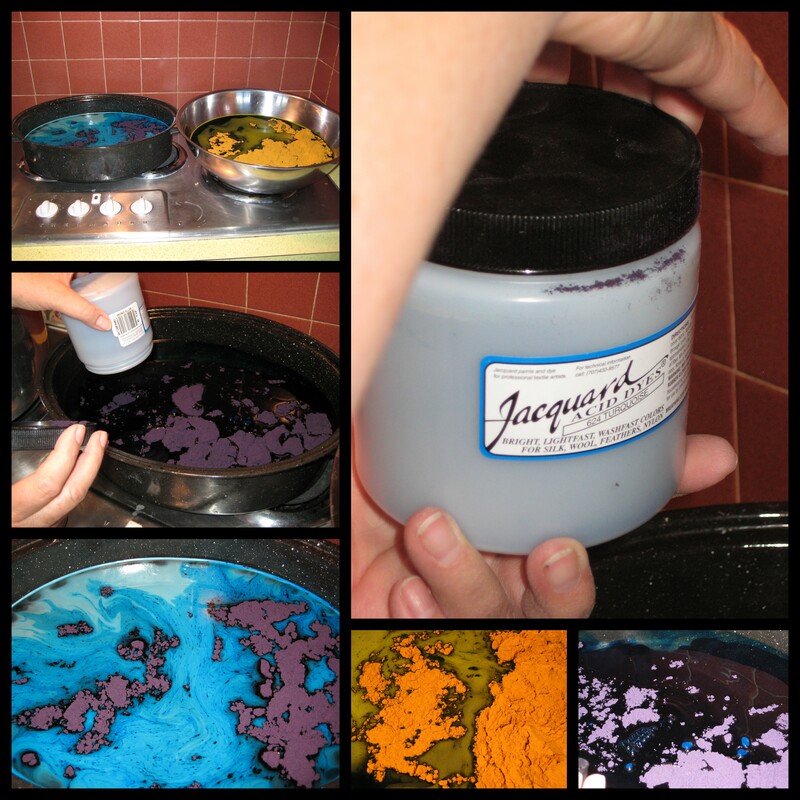 So, don’t go in thinking, “I’m gonna dye this [insert object] to match [insert project] using this awesome aqua dye. It’s gonna look just like the picture!” NOT! The best way to approach dying is with an open mind. Think of yourself as an explorer, say Lewis & Clark or Thomas Edison. Go in with a plan, but expect the unexpected and delight in what ever you discover. What color can you anticipate will result from dying over the top of your base color? What are you using the finished product for? 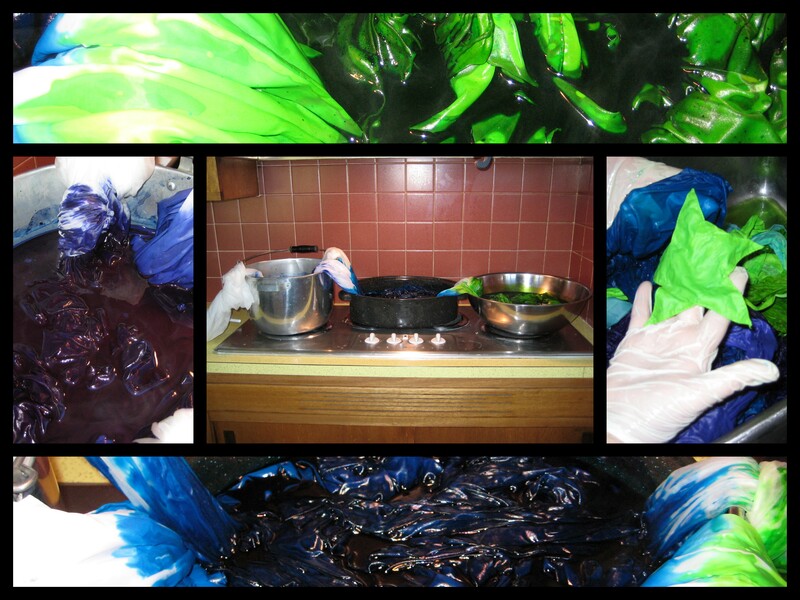 Do you need to dye raw material, then sew/knit a project? Now, go forth and dye my fine feathered friends! And send me links to your results. I love to see how other people create different products from the same tools.